Are you self employed searching for Empire Blue Cross Blue Shield health insurance quotes? or maybe you’re considering Empire Blue Cross Blue Shield health insurance plans as an alternative to COBRA? We can generate your Empire Blue Cross Blue Shield options as well as other health plan alternatives from leading insurers in your area.You’ll definitely be able to find an Empire Blue Cross Blue Shield health insurance plan that will suit your medical needs and budget. With Vista Health Solutions, you can be assured that you’re doing business with a company that knows what they’re doing. We have been in the service of providing quotes including Empire Blue Cross Blue Shield health insurance quotes for more than twenty years now. Customer service is our specialty. We assist our clients with their inquiries and guide them throughout the application process until they know their application had been approved. You can also count on us to remind you of your renewal date. 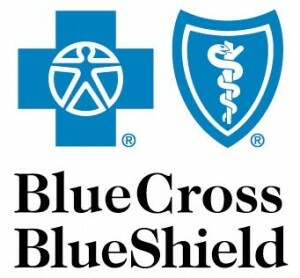 Empire Blue Cross Blue Shield began in 1934 as a hospital insurance provider in New York City. Empire Blue Cross Blue Shield is a subsidiary of WellPoint, which is the largest medical benefits provider in terms of membership. What makes them unique is that unlike other carriers, Empire Blue Cross Blue Shield owns and manages their network locally. Because of this, they are able to offer customized Empire Blue Cross Blue Shield health insurance plans, broad access to medical care at the most cost-effective rates. Empire Blue Cross Blue Shield health insurance offers HMO, POS, PPO, EPO and CDHP.